"The Struggle Against Climate Change: What Should Our Legacy Be?" session at the United Nations Conference on Climate Change (COP 16/MOP 6) in Cancun. 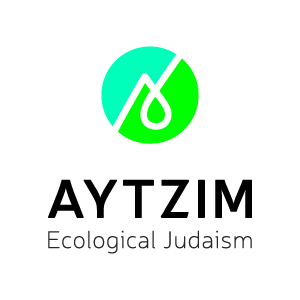 Dr. Mirele B. Goldsmith serves on the faculty of the Jewish Greening Fellowship of the Isabella Freedman Retreat Center and on the boards of Hazon and American Friends of the Heschel Center for Environmental Learning and Leadership. Mirele created the JCC Association Greening Initiative and is writing an adult education guide for JCCs addressing Jewish and environmental perspectives on achieving a good life. She has served as vice chairperson of the COEJL: The Coalition on the Environment and Jewish Life. Mirele also created the accreditation program for Hillel: The Foundation for Jewish Campus Life and teaches program evaluation at New York University. Combining her interests in evaluation and sustainability, Mirele is a certified green auditor. Her consulting practice, Green Strides Consulting, helps organizations create their own green strategies. Mirele completed her PhD in environmental psychology at the City University of New York. In Copenhagen we were seeking a grand agreement, and we realized that that wasn't the best approach in Cancun. In Copenhagen, there was a sense that nothing could be agreed upon until everything was agreed upon. In Cancun, it was that nothing could be agreed upon until enough could be agreed upon. The Climate Action Network came up with the Cancun Building Block — a whole slew of technical agreements that we felt were achievable. We also had a Fossil of the Day award, which we used to highlight people who were impeding the development of climate negotiations. One of the biggest accomplishments to come out of Cancun was the establishment of a global fund to assist developing countries with climate-change abatement. Unfortunately, the global fund is lacking funding. There needs to be a way to increase demand among developed countries to decrease their emissions even more than they have. And there's also a question as to how the Kyoto Protocol moves forward with renewal without the United States ever having agreed to it. President Barack Obama and his administration feel handcuffed by the whims of Congress. As a Jewish community, we need to really support international efforts to lower the world's carbon emissions. We need to be sure that we, as a community, are ready to defend commitments to foreign aid that support abating climate change. And we'd like to see more rabbis joining the secular community in speaking out against climate change. David Turnbull is the director of Climate Action Network, which includes hundreds of NGOs in dozens of countries working together to develop and advocate for global solutions to the climate crisis. David also serves on the board of directors of SustainUS: U.S. Youth for Sustainable Development. Previously, David worked at the World Resources Institute as a coordinator for a pair of international networks working to promote inclusive and accountable environmental governance. He also has conducted climate research at the Mount Washington Observatory in New Hampshire. David received his bachelor's degree from Dartmouth College in geography and environmental studies.. Right now is a good time to generate ideas that we can bring to the United Nations Conference on Climate Change (COP 17/MOP 7) in Durban, South Africa. Starting last year at Copenhagen, there was an official youth contingent to the climate-change talks. As youth, we strategized: How can we effectively speak with diplomats? We made sure that we had creative ways of getting our message across. So we had policy education, interesting activities and media connections to get the word out. Many people talk about predictions for the year 2050 as a far-off date — but for my generation, this is reality, this is stuff that we're going to have to address. This is very personal, and we have a vested interest in it. Even the people who disagree with the notion of climate change can be part of the solution. That's my resolution this year for Tu B'Shvat: Be willing to speak with anyone about these issues. Reed Aronow attended the climate-change talks in Cancun as a U.N. YOUNGO representative. He has experience in both the science and advocacy aspects of climate change, learning and teaching climate modeling and organizing environmental campaigns, including participation in the 2010 Focus the Nation Clean Energy Forum and two 700-mile 350.org Climate Bike Rides. Last year, Reed traveled to the COP16 climate summit in Copenhagen as a member of the Will Steger Foundation's Expedition Copenhagen. Since then, he has journeyed around the American Midwest, speaking on climate change issues to audiences across the political spectra, and emphasizing the fact that, although it will be hard, it is not too late to positively impact the future of our world and do something about climate change. We've reached a point where a lot of the talk is leading to inaction. But religious movements may be able to commit to use the commitment to Tikkun Olam to advance climate-change legislation and to change the way that we do things as individuals. Israel has committed to a 20 percent reduction in carbon emissions, a 20 percent increase in energy efficiency, and at least a 10 percent derivation of power from renewable-energy sources by the year 2020 — but that's not enough, and the United States hasn't even committed to that. And even if if the whole world took those steps, it wouldn't be enough to keep the world's average temperature at a two-degree Celsius rise above pre-industrial levels. Representing the Green Zionist Alliance and Keren Kayemet L'Yisrael, I think that climate-change adaptation will probably be one of the biggest issues that we face in the coming years. We're talking about Tu B'Shvat, and there's a concern here in Israel that the soil doesn't have enough moisture for new plantings. While in Cancun, Israel suffered the worst fire in its history — unfortunately, as our world heats up, fires are going to become a bigger problem. Being a small country, we still will suffer the impact of what the rest of the world and much bigger countries are doing. As Jews, we are involved, but we need more environmental zealousness. Hopefully Jewish leaders will join to help stave off the mitigate the negative effects of climate change. Dr. Orr Karassin is one of the Green Zionist Alliance representatives on the board of directors of Keren Kayemet L'Yisrael (KKL / Jewish National Fund in Israel), and she led the KKL-JNF delegation to the United Nations Conference on Climate Change in Cancun. She is also the chairperson of the Sustainable Development Council of Kfar Saba. Orr was the first executive director of Life and Environment, the umbrella group for Israeli environmental organizations. She was appointed by the Israeli government to serve as a charter member of the National Committee for Environmental Quality. Orr has held the position of visiting research fellow at the Grantham Institute for Climate Change and the Environment at the London School of Economics and Political Science and she is currently a lecturer at Sapir College Law School in Sderot, Israel, where she is responsible for the law-and-environment program. Additionally, Orr was among the founders of Green Course, Israel's largest environmental organization for students. Orr is the author of two books on environmental policy and she has published widely on environmental policy and law both in academic and non-academic journals. "This land is part of me and I am part of it. My American friends laugh when I tell them that the flowers and trees in Central Park seem fake to me." Israel is a signatory to both the Kyoto Protocol and the United Nations Framework Convention on Climate Change.